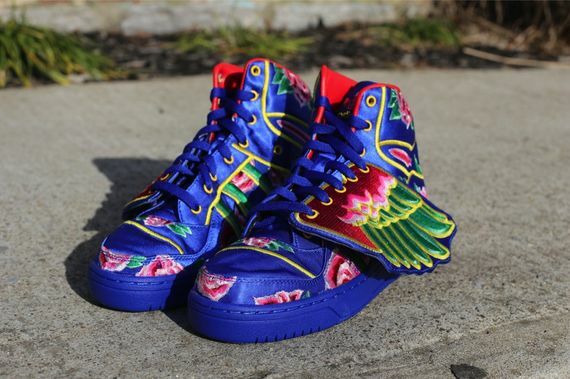 The adidas x Jeremy Scott Wings line continues chugging along with a floral interpretation that gets cosigned by chinese singer Eason Chan. 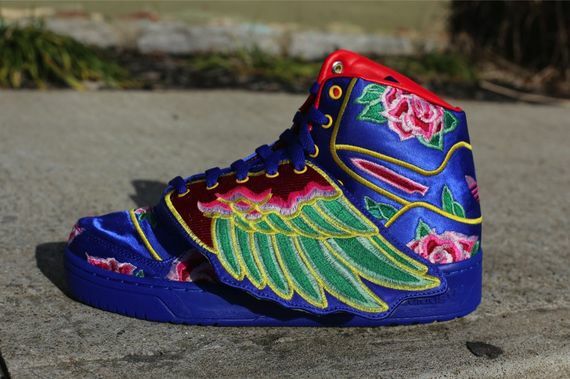 This version of the wings goes with a velour look with a royal blue upper that features a flower print that your grandma’s couch is sure to be jealous of. The satiny finish adds a bit of class to the flashy shoe that gets finished with an elegant set of wings draped off the side of the shoe. As always, these are going to be either loved or hated, and if you’re in love you can head on over to Oneness and scoop a pair now.